﻿ Saigon Morin Hotel, Hue | FROM $75 - SAVE ON AGODA! "We are welcomed and at home to the hotel from the moment we..."
Have a question for Saigon Morin Hotel? "The hotel is in in the central of city, it looks ancient, clean and well serviced All the staffs are very helpful and nice." "Lovely old hotel in handy location and in good condition." 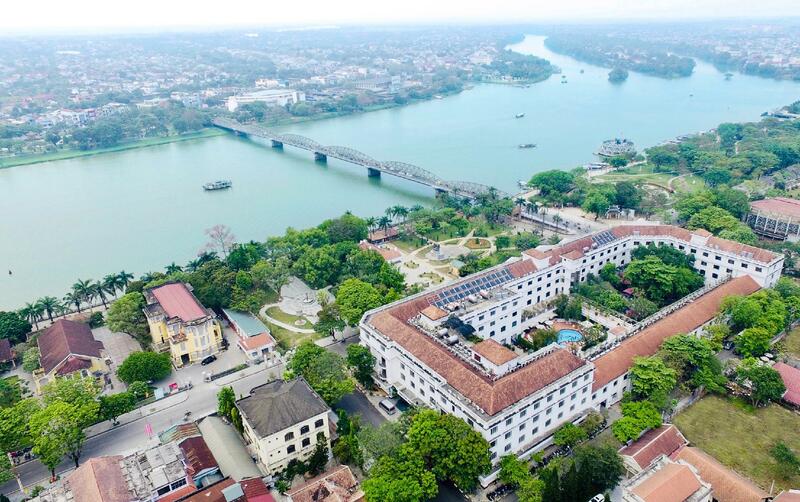 "Very good hotel with great staff"
"Historic charm, great location and breakfast here is a real..."
This modern business class hotel, located on bustling Le Loi Street, boasts magnificent rooftop views of the Perfume River. Guests will enjoy easy access to a myriad of interesting attractions, including the Trang Tien Bridge. 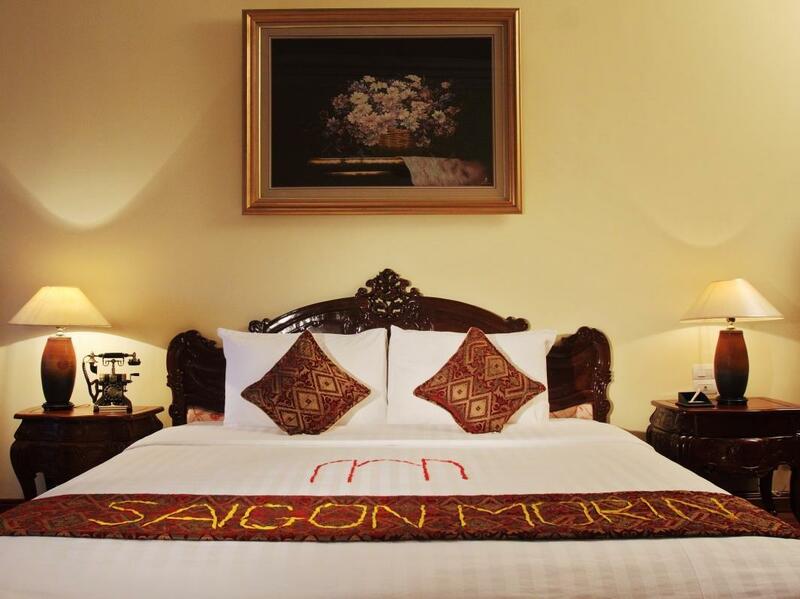 The spacious and elegantly appointed rooms of Saigon Morin Hotel are clean and decorated with a colonial style ambience that is visually relaxing. Guests will enjoy rooms that are equipped with balconies that offer superb scenic views. The on-site restaurant serves a combination of authentic local and international dishes in a comforting ambience. The hotel boasts a comprehensive selection of facilities, including a contemporary fitness center and free form swimming pool. 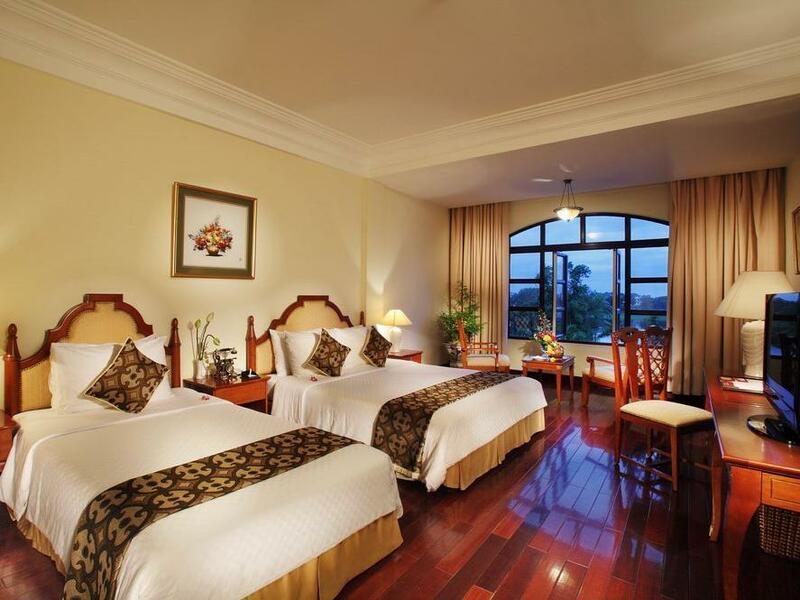 The Saigon Morin Hotel is the perfect property for relaxing stays in a prime location for a reasonable price. "First room was huge and overlooking the river." A valid ID is required upon check-in for verification of domestic residents booking at domestic rates. This hotel has not only top location, cleanliness and perfection staffs, but also his charm due to his history. We feel very comfortable of staying here. We were here during Tet New Year, the hotel has even organized lion dance. My husband let his hairs being cut in the hotel beauty salon, absolutely his best cut whenever! This is a classic old hotel dating back to the early 1900’s. It is clean and well maintained but lacks some of the amenities you’d find in a modern facility. The staff is friendly and eager to help. Our only problem was a rancid smelling shower curtain when we entered the bathroom for the first time. It was replaced swiftly. Big spacious room, very clean. Staff bring a short story to read in the evening. Good Location - close to the restaurant/bar area. 5-10min drive from railway station. Approx. 30min walk to the citadel. Expected staff to be more attentive and informative. Breakfast was below expectation for such a highly regarded hotel. 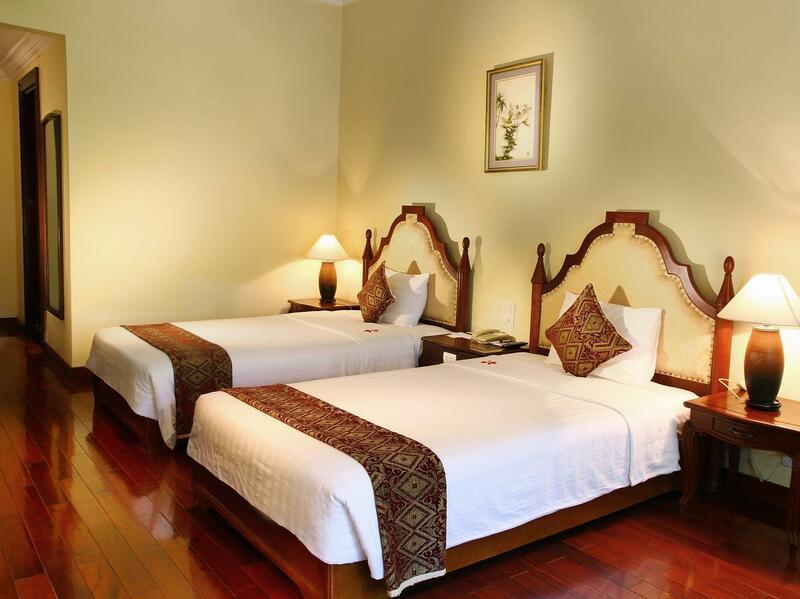 The Saigon Morin is a lovely old hotel, well-renovated with a great location. Walkers can head across the bridge to the main market and the Citadel; partiers can head due East; those seeking relaxation can stay on the grounds (nestled within the hotel building), enjoying the pool, spa and lovely gardens. Breakfast was lovely, staff very sweet. 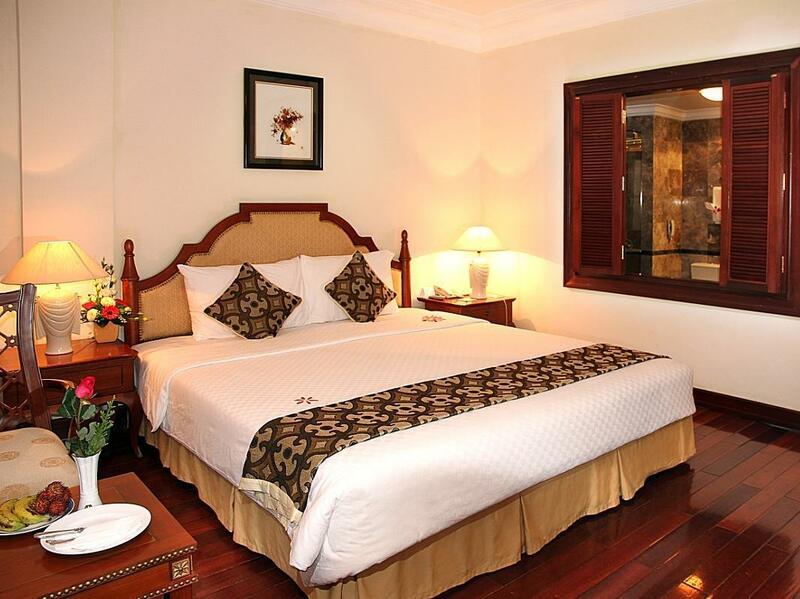 Located at the foot of the famous Trường Tiền Bridge in the heart of the city, this iconic colonial style hotel has long been a landmark of Huế. On the arrival at the Saigon Morin Hotel around 11 AM on December 27, 2018 we were all overwhelmed by its spectacular and grandiose lobby and upon entering our room we were astonished by its extreme cleanness, elegance and sophistication; an absolutely wonderful and unique experience! In the term of service, they have a team of very dedicated, experienced and exceptionally friendly staff. From front desk to room services to food services they paid attention to detail. And not only so, they performed something extraordinary. Upon on the arrival at the Huế Train Station on the leaving day, my wife found out that she forgot her purse in the safe in our room. A fanatic call and 15 minutes later a front desk girl showed up with a purse, just in time for depart. Amazing! Thank you so much! We immensely appreciate your prompt and timely response. First room was huge and overlooking the river. However AC unit had no instructions and remote was not intuitive so sweated through first night. There was also a nightclub playing very loud music nearby until 3am. However spoke to the manager on the front desk the next day and he moved me to a VIP room overlooking the hotel pool/inner courtyard. It was quiet and AC remote was easy to use. Slept perfectly! Hotel organised a driver to tour the main sights - worked really well. Courtyard restaurant was nice but disappointed 3rd floor bar was closed. Fresh fruit in room was nice touch. WiFi was good. 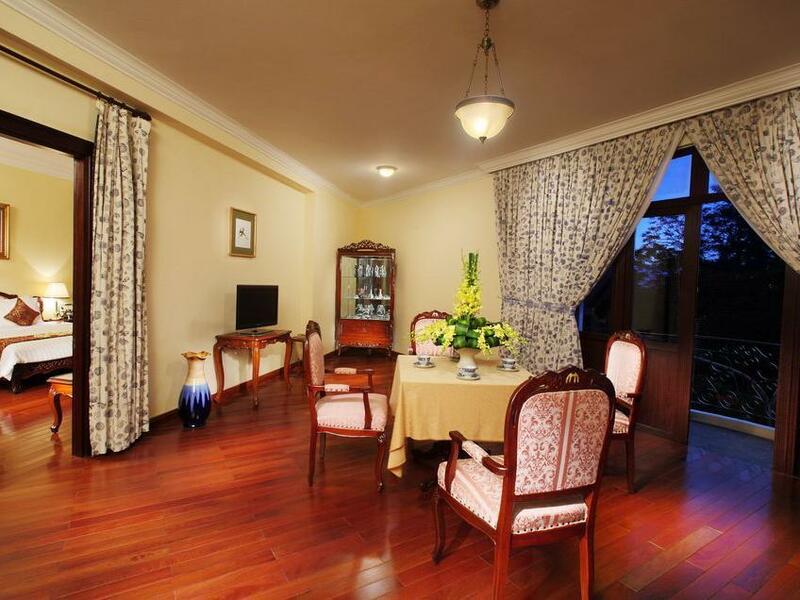 WE very much enjoyed our stay in that charming, hotel with its characteristic colonial style. The staff was very so friendly and serviceminded. Thankyou all. What a magnificent place to stay! Step back in time and stay in luxurious comfort. The staff are extremely helpful and the rooms are beautiful. Highly recommend. Location is a bonus. They have Hue tour packages which we think is worth the money. Staff were very kind and helpful, breakfast was satisfying. Everyday they leave a tiny scroll with local stories which we find interesting. Wonderful hotel, refurbished with all the modern touches, yet retaining the old world feel. Great location on the Perfume river with lovely central courtyard and pool. Breakfast is served in the open courtyard which all adds to the old world charm. Staff are efficient, but a bit snobbish and need to interact more. A lovely place to stay. Hotel Saigon Morin is stunning in every respect. We loved our stay (9 days) and cannot wait to go back. It's a beautiful, old colonial-style hotel. The hotel and the rooms are beautifully appointed, the inner courtyard for breakfast is just gorgeous, and the pool and pool area is very good too. The staff are fantastic. Nothing is too much trouble, and they are professional, very kind and helpful. It's in a great location too, in this beautiful old city of Hue. Located right on the banks of the lovely Perfume River, it's in a perfect spot to access just about anywhere in Hue. Lovely, lovely hotel. It is very good experience for 1st time visiting this Hue city and stay in Saigon Morin Hue. Very long history but friendliness staffs are no change. Perfect location, good food, and good place for next visit. 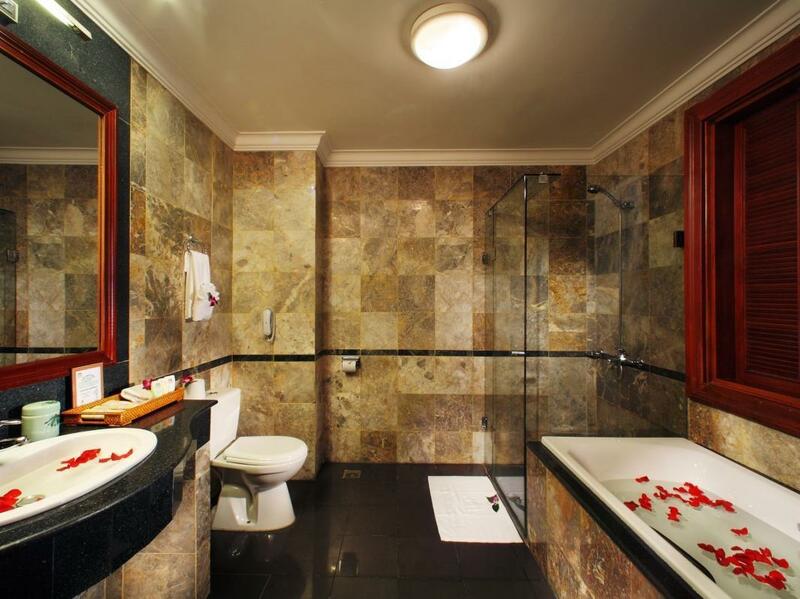 Big spacious room and bathroom with bath salt provided for a good soak in the tub. Breakfast was served in a beautiful garden and the buffet spread was huge. The massage in the hotel was one of the best in this region. A little down side was that the aircon was not cold enough for the hot weather and there was a mosquito that in the room that disturbed my rest for one night. This is a wonderful hotel, but be warned. If you stay on the roadside, it can be noisy (I was on the Le Loi side. Drivers in Vietnam probably only rate fuel as being more important than their horn) and the curtains let in lots of light. The staff are wonderful and well trained. Breakfast was very good. Big range of local and western offerings. I did not try the baked beans or bacon, but they were there. Eating in the courtyard is peaceful and a great start to the day. fantastic place, colonial style building it seems to be in a movie. great location and beatiful garden.the room was very well furnished, bathroom very clean and spacious. this is a place were i would like to return one day. It's ambience and good service. the hotel was built in 1901 and they did a great job in refurbishing it. the room was nice and spacious and the amenities were very clean and well maintained. the staff was very courteous and friendly. in particular, the concierge helped us plan a two day schedule to the sights of hue. it's a very nostalgic hotel. i would recommend it especially for couples as there is a tranquil atmosphere to the place. the location is also ideal, by the perfume river. I am travelling with a group of 6 guys and we all had a room each, so got to see a good see cross section of whats on offer.They were all very impressed. The rooms were huge with very tastefully decor. The massive courtyard gardens that holds the outdoor bar/restuarant and pool are pictureques and lovely to be in. The place has a grand feeling about it with a really handy location. I had some business I need to attend to back home and the staff could not have been more helpful. This is not that cheap a place to stay ( I thought $4.00USD per page to send a fax was over the top!) 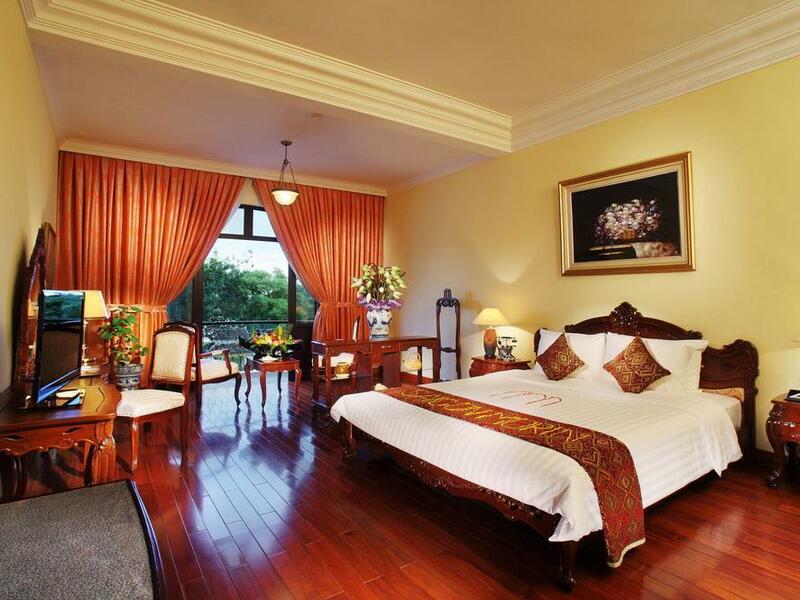 but if you want to spoil yourself a little while in the 'Nam, you should consider this hotel. Happy to stay there any time and recommend. We stayed three days and could have stayed longer. This is where you go to get away from the "concrete jungle" type hotels found in all countries. The beautiful old hotel has been refurbished to modern day standards, but still holds its charm. Loved the place.